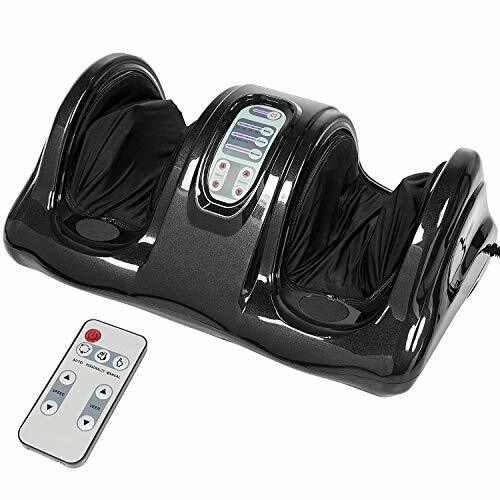 A foot massager is an electronic device that can mimic the traditional effects and results of traditional massage. It is a recommended device for home use, particularly to the elderly, because it is easy to use and portable. Most people cannot go to a massage spa to seek reflexology or massage therapy. 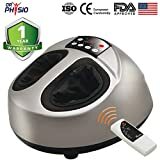 So buying a foot massager for home use is a great alternative or solution to address muscle tension and pain of the lower extremities, which also benefits the whole body. 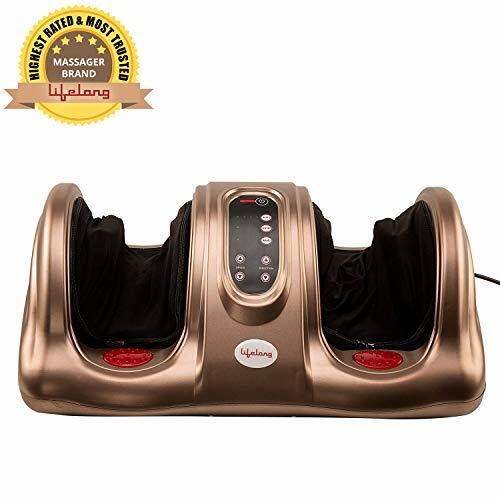 A foot massager has state-of-the-art features which produce heat and vibrations to help improve blood circulation, ease muscle tension, and loosen tight nerves. Through massage, nerve paths are stimulated and relaxed to eliminate pain. 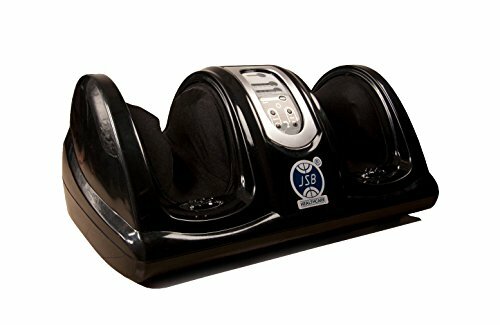 Foot massagers available for sale online in India come with different designs, features, and benefits. A foot massager is also a perfect gift for the entire family, promoting overall health and wellness. Using a foot massager regularly has many benefits (you can read more about it in this article). Also, foot massagers are not just for elderly or athletes. You can use it regularly at home (to relax your muscles and relieve any strain you may feel from a long walk or exercise). In case you’re in a hurry, here are my top three recommendations for the best foot massager. Still confused about which foot massager is best for you? 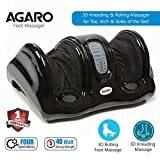 Let me help by providing detailed reviews on the best foot massager that I found in the market (and the ones you can buy online). These reviews will definitely help you gain awareness and understanding of the best features, pros, and cons of each foot massager. Below is the table that shows all the foot massager covered in this review. Now let’s have a look at the detailed reviews of each of the foot massager covered in this article. I have covered each of these foot massagers in detail and have also listed the pros and cons of each. The Lifelong Foot Massager is a portable and easy-to-handle foot massaging device. It helps you in relieving pain and fatigue, as well as achieve a healthy and stress-free body. The customized operation is impressive, helping users decide which body part needs focus or priority. It has superior performance because the heat produced is a very effective massaging solution, providing extreme relaxation. You will feel comfortable as it will help reduce all the fatigue from every joint in your feet. The shape of this foot massager has been designed to adjust according to the acupuncture points of the foot. It will make you feel rejuvenated and more relaxed after the massage. The heat produced relaxes and relieves muscle tension. It also gets rid of sprain pains. Lifelong Foot Massager is based on the principle of acupressure which will effectively stimulate foot acupuncture point which helps in pain relief. It improves blood circulation, helping in the quick recovery for over-stressed feet, rejuvenating the muscles after long standing periods. Lifelong Foot Massager has a unique rapid rotation with powerful and effective massage kneading effect, taking away minor aches and major pains. It has a copper motor with a pure copper wire for efficiency, prolonged motor life, and energy which provides good performance. It is made of durable, strong, and heat-resistant TPR and ABS plastic material that is also skin-friendly. It has a fabric cover which is removable washable. Dr. Physio is a powerful shiatsu foot massager that helps in soothing tired feet. It relieves tightness and improves blood circulation, thus releasing stress and tension. It has been designed to rejuvenate and quickly relieve foot pain after a very long and tiring day. This foot massager is suitable for the elderly who are suffering from foot pain. It can effectively massage ankles and feet. It provides deep kneading strong massaging, helping to soothe tired feet and relieve tightness. It increases blood circulation, releasing stress and tension. It has been designed with rolling and kneading to relieve muscle tension and fatigue that comes with reflexology therapy and traditional shiatsu. Dr. Physio Shiatsu Foot Massager combines reflexology therapies to various organs of the body, allowing you to have an extremely comfortable foot massage even if you’re at home. It is ergonomically designed to focus on the soles and their sensitive points. It is great for relaxing the whole body and in increasing blood circulation. It is equipped with many effective massage acupoint, stimulating foot acupuncture points to relieve pain. It relieves not just physical tension and stress, but also mental fatigue because it uses reflexology, stimulating acupressure points in the feet and calf muscles. This foot massager is portable and senior citizens can easily carry around. 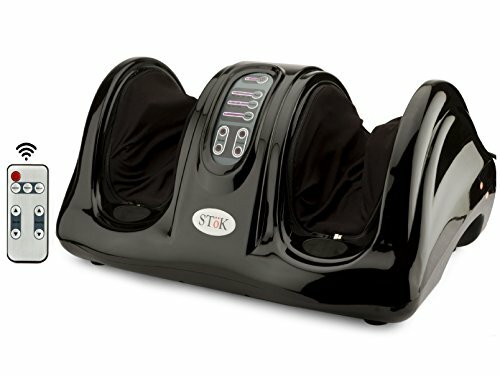 The Stok Electric Foot Massager allows you to have an effective and reliable foot massage at home. It has an ergonomic design to target the sensitive points of your soles. It is perfect for relaxing your whole body and to improve the blood circulation of the feet. The rolling, kneading, and massaging make a great combination, giving reflexology therapies to different body organs. 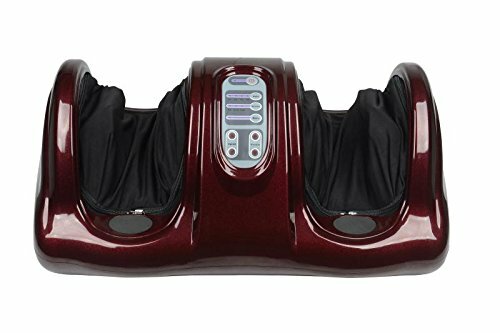 This foot massager has three custom modes, targeting your tiptoes, sole of the foot, and arch of the foot with adjustable kneading speeds. It is very easy to use, which is controlled by the remote control or touch panel. The detachable velour fabric is easy to clean. The Lifelong LLM90 Square Foot Massager is a lightweight, compact and easy-to-use device, helping you relax, eliminate pain, relieve fatigue, and achieve your overall health goals. The operation customization feature helps you in deciding which body part you need to focus on. The flexible rubber kneading pads are similar to a real massage. This Lifelong Square foot massager has 3 custom massage modes and 4 automatic programs. It helps in relieving fatigue, improve blood circulation, and promotes overall wellness. The 4 program modes include kneading, massaging, and rolling combinations to give a perfect customized massage. You’ll find 15-minute auto shut-off timer very helpful. It has LED display for easy operation. It includes 2 removable fabric covers for simple and easy cleaning. The SkyFlag Electric Shiatsu Foot Massager utilizes the three-dimensional biomimetic massage method. It absorbs the real essence and effects of traditional massage techniques. It also uses the core principles of modern magnetic therapy to promote foot and overall health. This foot massager is considered a physical therapy tool based on the meridian theory as well as modern scientific research, with a traditional massage base element. The flexible rubber kneading pads mimic real massage. It is very good in relieving stress and pain. It’s a perfect gift for aging parents and grandparents to increase blood circulation, most especially among patients suffering from diabetes, arthritis, and plantar fasciitis. You can use it for the ankle, calves, feet, arms, and thighs while lying down on a bed or while sitting on a chair. The Agaro foot massager can maximize your relaxation and release muscle tension through the feet’s complicated nerve network. This foot massager mimics the experienced strong hands of an ancient Asian massage master and reflexology therapy. It has been developed in collaboration with the medical community. The foot massager is delivering a completely new level of the best massage functionality which emulates the techniques effectively used by massage therapists and chiropractors. It provides invigorating massage simultaneously to the feet and ankles. The strong kneading action can deeply penetrate into the muscles. It helps in instantly relieving tension and improving circulation. The pressure nodes that are located under the soles of the feet stimulate the reflexology pressure points of the feet. 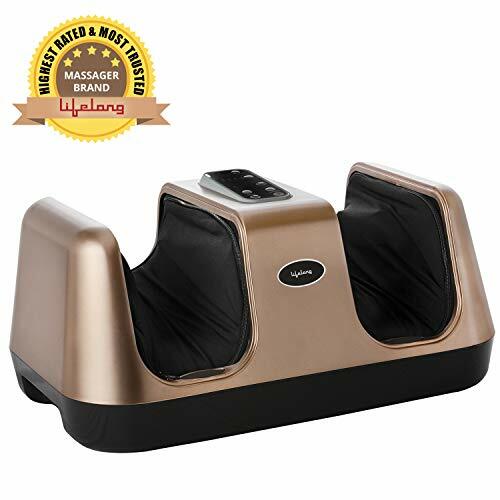 Sterling ARG Kneading and Rolling Foot Massager is a powerful and very effective stress relieving foot massager. It is easy to handle foot massaging device to help get rid pain, relieve fatigue, and attain overall health goals for a stress-free body. It has a customized operation which helps in deciding which body part needs more focus. You can select from different programs: healthcare p2 (focuses on the head, neck, shoulders and lumbar, spine), p3 (for the intestines, stomach, and liver), p4 (focuses on the legs, reproductive system, and urinary system). This foot massager is based on the principles of reflexology therapy. It helps in weight-loss and also in reviving skin glow by removing toxins. It helps relieve muscle tension and it aids in improved blood circulation. It helps relieve back pain and targets other body parts aside from the feet like the arms and shoulder by working upon the afferent nerves, circulating the blood to the nerves. The other features include strengthening the muscles, improving balance and flexibility and leg toning and shaping. The JSB HF28 Foot Massager Machine is suitable for relieving pain and relieving stress. It is very effective in improving blood circulation. It is highly recommended for those suffering from arthritis, diabetes, and plantar fasciitis. It is perfect for the elderly for home use. This foot massager has a 15 minutes auto cut off feature. The rubber kneading pads have pressed the muscles to relax them and the foot rollers help in improving feet blood circulation. You can use the JSB HF28 Foot Massager to the ankle, feet, calves, arms, or thighs while lying down or sitting. It is already pre-assembled so you can immediately use it. It only requires low power and used 40W AC. It can fit any size of feet. I hope this article gives you a good idea about the best foot massagers in India. Most of them are portable with comfortable kneading pads and other useful features. When choosing the best brand for you, consider your needs and wants, and of course, while the budget is an important factor, prioritize quality. This is to ensure you get a durable, comfortable, and reasonably priced foot massager for you and your loved ones. Best Elliptical Trainers in India (for Home Use).